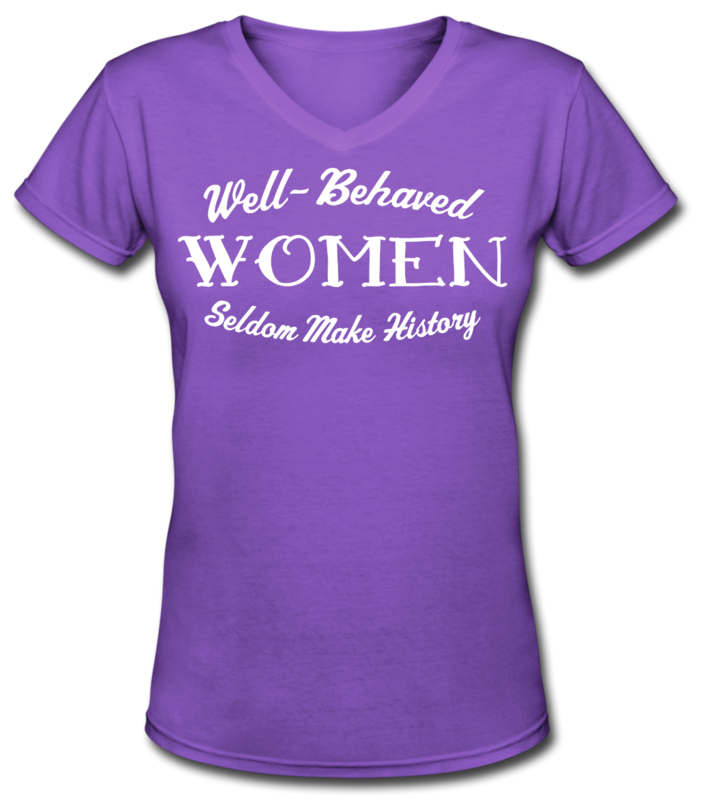 This shirt celebrates all of the women -- past and present -- who challenge the status quo to make the world a better place! 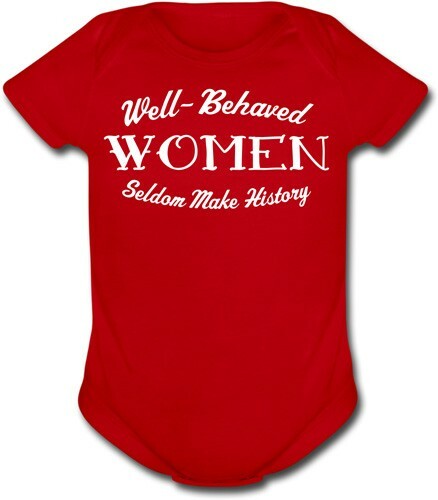 This empowering t-shirt features Harvard professor and Pulitzer Prize winner Laurel Thatcher Ulrich's famous quote: "Well-Behaved Women Seldom Make History"
This shirt is available in infant, toddler, child, teen, adult, plus and maternity sizes in a variety of colors and styles including t-shirt, long sleeve, slim fit, hoodie, and infant bodysuit. 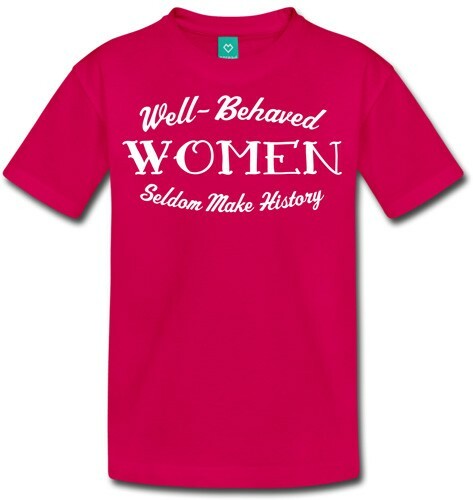 Use the "Buy from Spreadshirt" link below to visit the merchant site and browse the full selection. 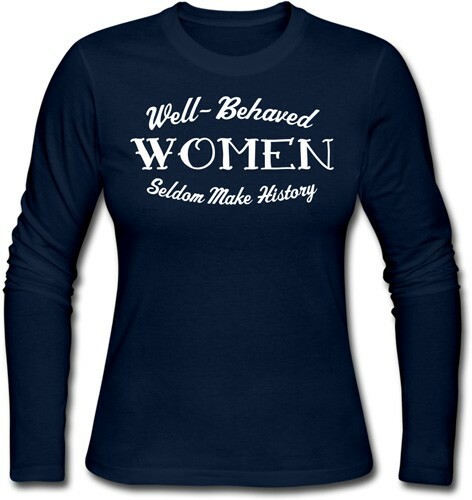 Several styles and sizes are available in 100% organic cotton with reinforced shoulder construction that maintains its shape through multiple washings. 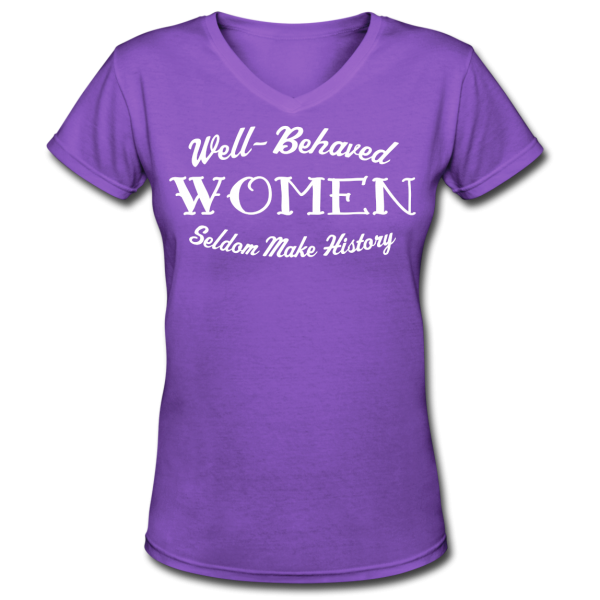 Ships worldwide from either the United States or Europe.